As músicas do Avicii salvaram vida, cada melodia, elas, não só comigo mas cada uma tem um significado enorme nas nossas vidas. Ele sempre estará eternizado não só pela pessoa que era mas pelo legado que fez. 💬 O Brasil ama muito vocês! Memories are small stars that comforting glow in the darkness of our grief. Tim, we will never forget you! R. I. P.
Avicci était vraiment un dieu de la musique 🎧 electro j'adorais tous ses tubs et j’´ai vu la vidéo sur Netflix qui m’ a beaucoup ému et il resterait un vrai artiste et mes condoléances à sa famille. I just cried when I saw this. Fans, family, friends and the world will love him forever. Sleep on, Tim. We'll wake you up when it's all over. I love your Music. I sing Hey Brother every day after the release. You make me happy. Thanks for all. Dear Tim, I just can not believe that you are gone. Its such a big lost for the music world,but a much bigger lost for your family and friends. I heared every song of you more thann 100 times. You are such an great musical artist with such an huge talent. I heared your songs every time,in school,in university,at work,and your songs were always going in my mind. I thank you for your wonderful music I will always remember your music. Your music will never die. I hope you are in a better place now. Something I didn't realize until Avicii's passing was that all this time he had been around us. The fun nights out when you were 16, the up's and down's starting your 20's and all the great moments since. With his music, he was there in the background, all this time. When I learned of his passing I understood that I associate him with happiness, with some of best moments of my life. He was there for us all this time, now its our turn to be there for him and rejoice his life - Thank you, Tim. One of the things I loved the most about Tim's music was the way it made me feel.Listening to Wake me up every day when I was 18, when I felt so confused about the world... Still, it gave me hope. Dancing to Levels in the club and having the time of my life. 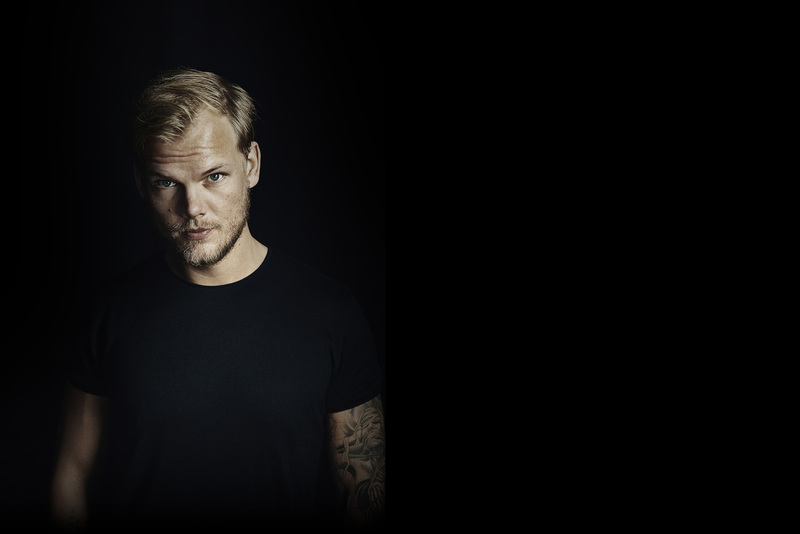 Avicii's music will live forever. The world has not only lost a musical genius, but a wonderful person as well. Your music has always helped me through the day, your music brought happiness to my soul and filled me with energy. You are so greatly missed rest in peace mate. The future may never know how great of an artist you were, and we will continue to let you strive. Thank you for being an inspiration to others and I hope you rest in peace. Your music is amazing! Thank you for everything! I listen his music very much. He insperid me with his music to on guitar lesson. I can now play guitar very well. I hope that he has a place in the heaven. I hope that the family and friends got peace of in the fact that he's gone. We have love you, Avicii! i'm not good with words, all that i want to say is thanks for all the things that your music gave me, you music inspired me in a incredible ways and make me feel alive and support when i was feeling terrible, thanks for everything that you made, the heaven must to sound wonderful. You make me. Tim, I wish I could have helped you in the same way you helped me. A few years ago I had an anxiety disorder. Your music and your own struggles helped me to heal and to realise that I am not alone. You also made me realise that I am more of an introvert and that I can be proud of that. Thanks to you I follow my dreams now, introvert or not. Thank you for everything Tim. We are not only Avicii fans because of the music. Above all we will miss that talented, humble and kind person that you were. Zivis i dalje legendo do!! Du lever i våra hjärtan!! Your songs have been with me during the hardest & the most beautiful moments of my life. Your music will be with us forever and there's no words to describe my gratitude. I miss you. I am so thankful for all the Music that you brought us! Your Music was a part in my hardest and my best times in Life. When I was listening the first Time your Song „Broken Arrows“ i felt instanly connected to me. Because it felt like this Song is describing me and some of my struggels. So i decided to get a Tattoo in Honor of this Song in my own abstract/geometric Way. So thanks to you Tim I‘am so thankful for all what you have done for me. I've never heard of him but I wanted to feel included. Wake me up soundtracked my first holiday away on my own. I’d just finished Uni and it was a special time. Every time I hear that song it brings a smile to my face. Before I found your music I didn’t have an appreciation of EDM. Thank you for opening my eyes and mind. Your music will last forever. You're an inspiration. A true inspiration. RIP. ‘Wake Me Up’ made me, loving music, wake me up. Thankyou legend. Basicamente tu ayudaste al mundo de la electronica a subir, tu eres uno de los pilares de este genero, sin ti no seria yo sin que tu me hubieras metido a este grandioso mundo 😇🎧 Gracias Tim, de todo corazón, a seguir disfrutando lo que contruiste y seguiras siendo el mejor. I’m from Russia and I went to study 6 years ago to Sweden and it was incredible year. I remember we danced and listen to Avicii’s music, it brought us all , international students, together. Now when I recall this time it comes with Avicii’s music. I wish he knew how many great moments we had thanks to him. Thank you avidity for helping me in my live. I will never forget your hand. The hand is for me like music. It fly like the music like it will never stop. Thank you avicii! Du var otroligt begåvad och verkar vara en helt fantastiskt människa som jag önskar jag hade känt. Din bortgång har tagits hårt från så oerhört många men jag hoppas du nu mår bra! Tankarna går till dina anhöriga som älskade dig.. It saddens me I’ll never get to watch you create again. You were a big inspiration and a very very kind soul. I never got to meet you but I still loved you as we were life long friends. Thank you for introducing me to a whole new genre of music. You were the reason I started loving in the first place. Farewell, and may you rest in peace. Recuerdo como si fuera ayer las fiestas, cuando tenía apenas 15 o 16 años, en las que me salía de control cada vez que comenzaba Levels, era una sensación increíble, y lo más lindo de todo, es que aun lo sigue siendo. Estaba perdidamente enamorada de Tim, ahora tengo casi 23 años y verlo en fotos sigue flechándome como cuando era una adolescente. Siempre va a estar en mi memoria, cada vez que escucho Silhouettes, mi canción favorita, se me dibuja una sonrisa sincera. Gracias, Tim. Unfortunately I did not have the chance to go to a show, I thank you for the songs produced that were inspirations to not give up on your dreams, making life happier living like you do not hear tomorrow. The best ARTIST the world will ever witness. His songs were so different from the mainstream, his melodies touched the heart. His sense of composing melodies can never be matched. Rest in peace TIM we love you and always will. !! It was Summer 2013, september. Me and my 3 lifetime friends went to Tuscany to celebrate our 30th birthday: we heard "wake me up" a thousand times during the journey. It was our soundtrack and I'll always remember those beautiful days thanks to this song. Where I am from in Hungary a week after Tim's death there was a festival where a hungarian musican dedicated one of the songs to Avicii. People were standing there singing for him. All day at the festival I was fighting with my friend over stupid things but in those few minutes we stopped because life is not about fighting . Love is everything. I am sorry for your family,friends and your fans for losing you too soon. You were amazing Tim. You still are. Not to forget about Bromance, the first song I heard from you. It was something new and awesome. Dear Tim, thank you for everything you've done. Thank you for the incredible music. For me, your music is like light in the dark. Thank you for the emotions. Thank you for the love you gave to your fans. Thank you for everything. Thank you so much. You will be in my heart forever. I remember listening to Wake Me Up for the first time in my 13th birthday. Avicii was the first DJ I had ever listened to. His songs always make me remember all the good times shared with my friends and family. Those party nights are the ones that will live forever. Thank you Avicii for introducing me to electronic music and sharing the songs that came out of your heart. Rest in peace, Legend. Your music created memories that will last a lifetime. RIP. Levels was my gateway to EDM when was only 12 years old. Avcii, you made my high school days bright. the first time I saw her in show was at Inox music festival in Toulouse during her debut and then in Paris a few years later. He has always been a musical hero for me as a DJ. I remember the night Tim died, I was playing without you at a school dance where I was playing when I got the news. I will never forgot him and his music. I will never forget you, and your beautiful music. "Live a life you will remember"
I was nine when I first heard of Tim’s music and I am so glad I switched on the radio that day, because it was what got me to fall in love with music. If it wasn’t for his music, I don’t know where I’d be today and I am forever grateful that we had an amazing musician to help us go through our hardships and moments of ecstasy. He was (and still is) an inspiration and I hope he is in a happier place now. If you hear this Tim, you will be remembered forever and you are a true inspiration. Avicii is one of the most important influences in my musics. All the love. All the melodies. All the memories. All the feelings. This guy changed my life unknown me. Thank Tim. You are in our hearts. "one day you'll leave this world behind, So live a life you will remember"
Every time I hear one of your songs anywhere, I stop for a moment and get sad. Today was such a day. You are not forgotten. I just want the loved ones of Tim to know, i've struggled with pancreatitis since i was 14,and i'm now 29. since "Wake me up" has been out it's my go to song for pancreatitis attacks, i listen to it or sing it over and over until the attack passes. i too no longer have a gallbladder due to pancreatitis, and my heart sunk when i learned of Acicii's passing, as I know for a fact not all of the pain that lead to his final moments was emotional. his death has showed me that i'm not alone. You changed my life on a middle school trip. My best friend showed me "Levels" on the bus ride and from that point on I followed you the rest of my life till now. I listened to levels for so long and my favorite album from you is True. I love you Tim Bergling and will always remember you.